Where Sparta U.S.A. frustrated the heck out of me, in the end Garrison was successful in underwhelming me. I tried to give this book the benefit of the doubt but ultimately it was just your average comic. Well, it’s no secret that I write this review within a day of hearing about the demise of the Wildstorm imprint. So needless to say, it made reading this bitter-sweet. It was a really good issue but now more than before do I really feel like I’m reading about the end of the world. 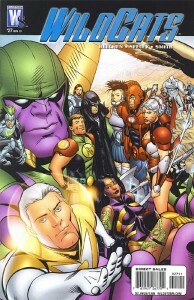 Welcome to another awesome episode of Wildstorm Addiction! 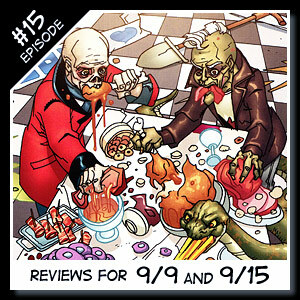 Joe David Soliz and Ben Murphy bring you Wildstorm reviews for the weeks of September 9th and 15th 2010. 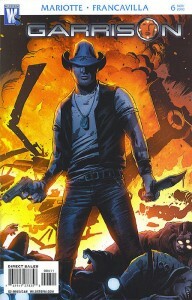 Reviews including Welcome to Tranquility: One Foot in the Grave #3, Dv8: Gods and Monsters #6, Ides of Blood #2, and X-files/30 Days of Night #3. Joe welcomes everyone to Episode #15 for the weeks of September 9th and 15th 2010. 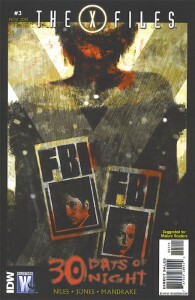 The nightmare for Agents Mulder and Scully continues as the threat increases substantially in this issue. Niles and Jones have gone from making this feel like an X-files episode to feeling more like an X-files movie. The layouts and the pacing take on more of a widescreen feel in this issue. Mandrake’s art seems to be getting better and I like some of the huge establishing shots he illustrates. Plus, like I’ve mentioned before, we don’t have a particular vampire character we’re following so Mandrake takes the vampires we do see and seems to give us only teases of them. Whether it’s in shadows or close-up shots, he truly gives them a beast-like quality. This is a departure from the way Niles has presented them in the past which was a mixture of the human and animalistic traits. But again, I think it’s the lack of a main vampire character (so far) that drives this notion.